Supporting events - a lot of wonderful events including special forums, matchmaking, innovative products demonstration, etc. will be held throughout the show. We displayed our innovative “Holographic Aseptic Packs” range Asepto Spark and Asepto Premium with the mesmerizing and captivating holographic, multi-lens, foil stamping and embossing effects on packs created a strong buzz in the show. Our team received a fabulous response and enquiries from various countries, in fact we have already started talking business with some of the beverage and dairy companies, who visited us during the show and shown a great interest in our holographic packs. All our customers visited us were very happy and liked the concept and design, most importantly the quality of our packs fit to their requirements. Moreover, the booth designed with holographic effects on the hanging fascia was a take at the show and created lot of excitement in the exhibition. We truly believed it was an ideal decision to be part of Propak China. —— Mr. Ashwani Kumar Sharma, President & CEO, Uflex Ltd.
We are proud to present our machines and specific solutions to Asian and China market. We present not only mechanic things. We are very deeply in digitalization for Industry 4.0 and have a lot of software to support our customers. We have met a lot of customers and it is really great to be here. Everything is fine and we will also be here next year. ProPak China has been integral to our growth in Asia and our growth in China. ProPak China is very integral to getting our name out of the marketplace and get our brand marketed. So we thank ProPak China, we like ProPak China and we hope to continue growth with ProPak China and its team. Our products attracted a lot of professional visitors. Many of them intended to visit our company for further negotiations. Exhibition effects are great. —— Ms. ZhenAi Jin, Director, Machinery Business Planning Department, SHANGHAI ISHIDA ELECTRONIC SCALES LTD. The exhibition attracted a multitude of potential customers. A lot of visitors intended to place orders with special need for automation. Many intended to visit our company, and invited us for future scheming and technical exchanges. 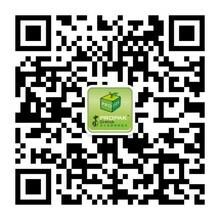 This is our eighth time to participate in ProPak China. The result is good and it has met our expectations. This year we attracted a lot of visitors who were interested in our products. Next year we will bring more new and outstanding products to consumers. —— Mr. ChangTu Huang, Vice-general Manager, Hualian Machinery Group Wenzhou Sales Co., Ltd.
At the exhibition, our complete line of parallel robots enjoyed great popularity among visitors. These days we received many foreign visitors who were interested in our equipment. The exhibition was very successful. —— Ms. YingXuan Liu, Marketing Manager, SIASUN ROBOT & AUTOMATION CO., LTD.
A lot of foreign visitors got to know us through the exhibition. Many visitors from the Middle East and North America were interested in our products and willing to visit our plant to see our equipment. We really appreciate the organizer providing the exhibition platform and hope it will be better. —— Mr. ShiXuan Hu, Regional Sales Manager, SHANGHAI PRECISE PACKAGING CO., LTD. It is our third time to participate in ProPak China, an exhibition we value most every year. Through the exhibition, we can find a lot of business opportunities, further enhance our brand popularity and gain something new. This year we successfully launched our new products at the fair, attracting flocks of visitors. —— Ms. Dan Luo, Marketing Department, METTLER TOLEDO CO., LTD.